One Martin along with the Martin County Farm Bureau and the Economic Council of Martin invite you to join in the celebration of the mutual partnerships between farm producers and urban residents during Farm City Week at the 2018 One Martin Farm City Luncheon & Speakers Panel. Farmers and ranchers work hard to provide a nutritious, abundant food supply here in Martin County and around the world. They are true stewards of the land - maintaining greenspace, wildlife habitat and freshwater recharge areas. Consumers help sustain farms by purchasing the superior quality foods, fibers and renewable fuels they produce. Businesses in urban areas supply, sell and deliver finished agricultural products to those who need them. Join us and learn more about the mutual economic and environmental challenges and opportunities that currently face our farmers, ranchers, civic leaders and residents in building a more prosperous and sustainable community. 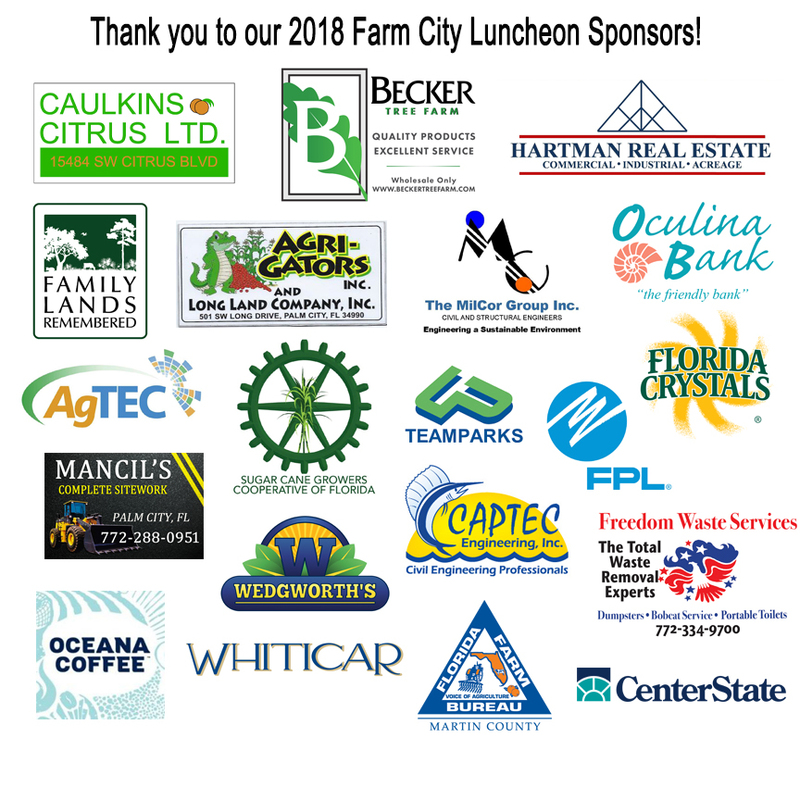 If you are looking for a way to show your support for the connection between Martin County's agriculture, our local economy and a prosperous community then sponsoring or attending One Martin's Farm City Luncheon is the perfect opportunity for you.